Buffalo Chicken anything & everything is a staple in our house. So, I thought why not a Buffalo Chicken Salad? 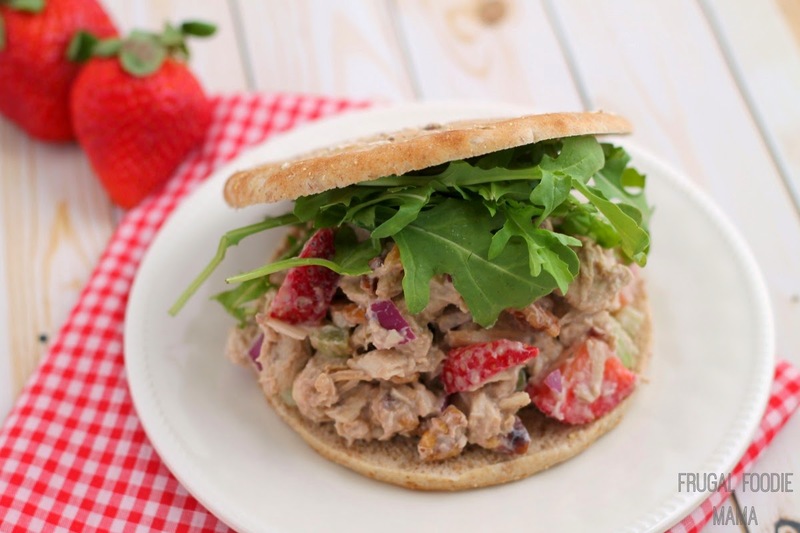 This is perfect for a quick afternoon lunch or to pack for a picnic at the park. This chicken salad is a cinch to throw together. Dump everything from the chicken through the salt in a large bowl and mix well. Then fold in the blue cheese crumbles. Store in an airtight container in the refrigerator until you are ready to serve. Serve on fresh sandwich buns, your favorite bread, or crackers. Dump everything from the chicken through the salt in a large bowl and mix well. Then fold in the blue cheese crumbles. This sounds great, Carrie! I love the fact that I can use leftover chicken and keep my kitchen cool :) pinned! O.M.G. You have me at Ranch Buffalo! This is right up my ally! Pinned. This is perfect timing! I recently discovered canned chicken breast at Aldi's and it is fabulous (before this I would NEVER buy canned chicken....it is that good! )My daughter just dropped off two cans yesterday so guess what I will be making? 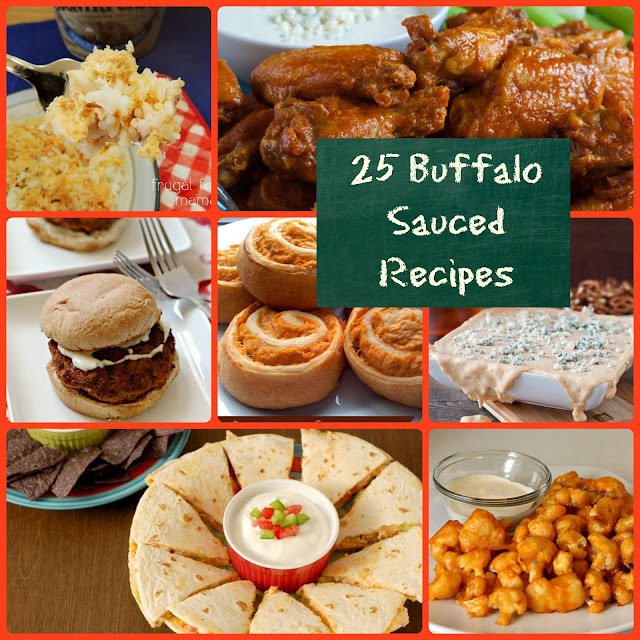 We all love buffalo chicken in our house too. Thanks for the recipe! Since eating this at your house for lunch, I've been waiting for you to post the recipe! It's about time!! LOL. Really, I have been waiting, it is great!! Yum, loving your recipes...totally going on a "pinning spree"! Newest follower via GFC & Bloglovin! Check out my blog sometime! Yay! This looks so good. Last week I made a buffalo chicken sandwich in toasted French bread wit blue cheese. I still have enough sauce to make this! Looks delicious! It's pinned and ready to go! Carrie, I LOVE chicken salad and have it for lunch a lot! I love this idea on a different twist on the traditional version. Thanks and pinning - happy Sunday!